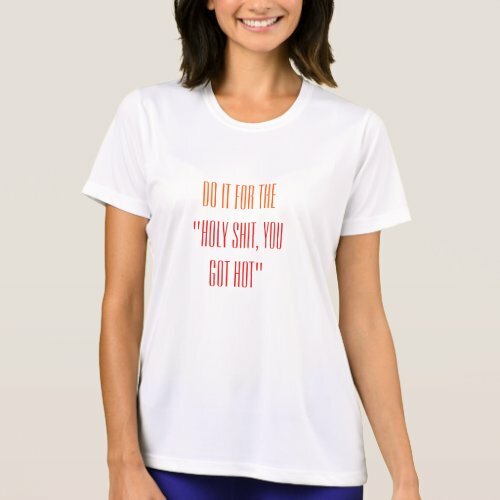 If your new year's resolution is to loose weight, or get back in shape, or loose the flab, or have a fit body, or to exercise/jog/run/walk/yoga/cardio regularly, then here's a fun performance t-shirt with just the right words of encouragement, highlighting just the right result. Fun activewear for your exercises, yoga, daily workouts, running, jogging, cardio, weight training. Makes a great gift for birthday, christmas, holidays, or any regular day, for friends and family.